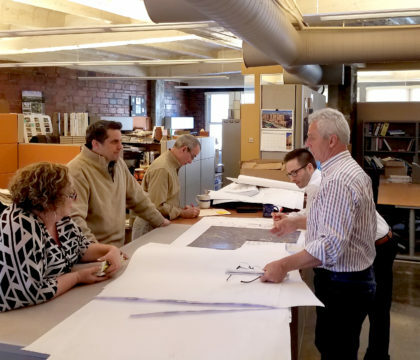 About Us | BSHM Architects, Inc.
BSHM Architects have been in continuous practice since 1962 — with offices in Youngstown, Ohio from its inception and in Columbus, Ohio since 1999. From the beginning of its professional endeavors, BSHM has been committed to innovative approaches in concept formulation and design solutions. For over five decades, BSHM has seen an incremental increase in the quality and refinement of the firm’s methodology and has expanded the types of planning and design services we offer to clients. While our firm has designed a broad range of building types, we have always had a focus on academic facilities, facilities for the fine and performing arts and historic architecture. The firm has been commended for its design work with over 40 awards from various components of the AIA and is widely recognized throughout Ohio for its expertise in K-12 school projects and architecture for education. We have a dedicated professional staff of over 20 people including four principals, eleven registered architects and four LEED accredited professionals. The design process we incorporate begins with inquiry and a commitment to make the strongest effort to fully understand each client’s needs and aspirations. Our goal is to engage every stakeholder and decision maker with our Design Team to explore all possible design solutions. The desired outcomes are a result of this balance between investigation and action. We believe great architecture is result of many small decisions, some intuitive, some iterative and scientific. We are committed to a process of creative collaboration. Our culture of collaboration and inventiveness has continually attracted talented people and has allowed BSHM to continue to produce memorable, effective architectural solutions. BSHM has always benefited from superior leadership both in design and in providing our clients with exceptional professional service. The best leaders produce other leaders. Gary Balog, FAIA benefited from the mentorship of former principal Paul J. Ricciuti, FAIA. Likewise, Gary helped develop the leadership skills of current senior principals Brett Hendricks, AIA and Byron Manchester, AIA, LEED AP who will continue that strong ethic of developing the next generation of leaders with John Orsini, AIA and Jay Crafton, AIA, LEED AP. Every professional at BSHM is taught that part of our mission is helping everyone develop leadership skills that ultimately benefit our clients and produce imaginative high quality projects. 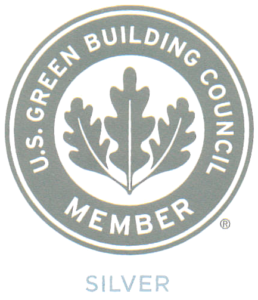 BSHM has been a member of the U.S. Green Building Council since 2007 and is currently a Silver Member. The BSHM team is at the forefront in sustainable design for school facilities with 21 LEED registered projects in design, construction or review for certification. Of these projects, 2 are USGBC Certified, 13 are USGBC Silver Certified and 2 USGBC Gold Certified. With every academic project that we help plan and design, we operate according to one driving question: How can we make this building as healthy as possible? This health extends from that affecting the minds and bodies of students, to the health and workplace satisfaction of faculty, to the ultimate fiscal and operational health of the institution, and surrounding natural site. As such, we design all of our academic buildings to a LEED Silver Standard, and journey with those clients that hold sustainability as a priority even further.